Deadlines are very important but stressful. Without the proper deadline and time effective management strategy, the entire workflow will break. The clients will say good bye to you for your poor time management and you definitely don’t want that to happen as it will ruin your business reputation. To help transforming the deadlines in a positive way, here are some few effective deadline management tips and techniques for the developers to follow. Being a developer, ensures first what is in priority for delivering the tasks and make sure which task to fall back on incase of blockers. Give each deadline the top priority and commit yourself to beat each of them. Don’t let yourself slack off to the point of procrastination. If you can finish any small part or the entire project today then why wait to do it tomorrow? Completing things early will reduces the stress and pressure from you. It will also give you some extra time to start any new project or give yourself some rest. Small tasks are easy to understand and complete resulting in smaller terms of code to cover the tasks requirement. The developer should create sub tasks to further organize the step necessary to accomplish but if you get large tasks at hand better divide it in smaller ones. Be very clear about the deadlines. Communicate it early and clearly with the clients as why it is important to deliver the solutions by the given date. 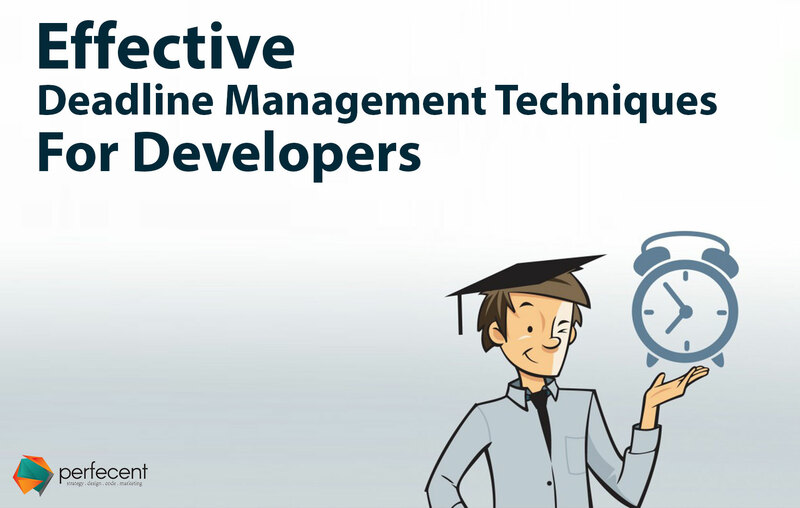 It will also help the developers to identify the actual goal of accomplishing a task. Set milestones to best describe what you would like to achieve in the given period of time. Select the right project management software to help adhering to the above mentioned tips. Take your time and choose very carefully which software tool is best for the specific project. There are many software tools available. The bottom line is to keep all the requirements in clear, defined place. Because scattering the tasks will increase the chances of overlooking the specific task. Be reasonable while managing the deadlines. Submitting a three-day project over-night is just insane, even for the professionals. See every steps needs to deliver a high-quality project in the end. Finalize an exact date and time for submission. Add an hour or two for emergencies. This way you will not have any reason to miss the deadline. The ending of any project is just as important as the beginning. Before finalizing, revise and revise the whole process. Create a project roadmap or AP (action plan) to help in maintaining the focus on each phase of the project.